WARSAW – Our countdown to our number one athlete leads us through Nappanee and Warsaw, where an extraordinary graduating class at both NorthWood and Warsaw produced some of the finest athletes ever to perform at either school. Here are our selections for the Ink Free News All-IFN Top 5, culminating with our Athlete of the Year, Kyle Mangas of Warsaw. 5. 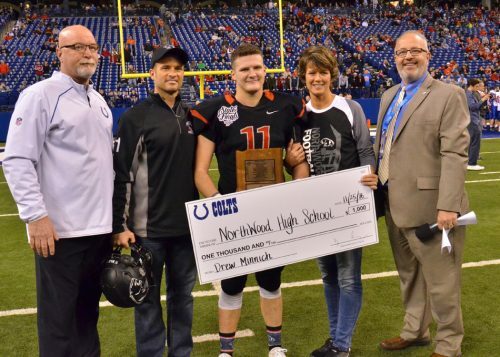 True Student Athlete – Drew Minnich has showcased his abilities on the field, diamond and in the classroom throughout a brilliant all-around prep career at NorthWood. 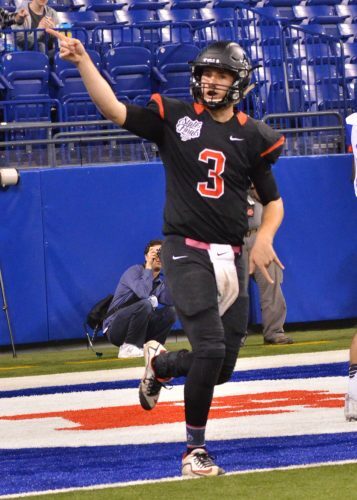 Minnich helped the Panthers go 14-1 on the gridiron last fall, winning conference, sectional, regional and semistate titles before a loss in the Class 4-A state title game. This Spring, he was an integral part of a Panther baseball team that won the Northern Lakes Conference title at 14-0, claimed a fifth straight Class 3-A sectional championship and won a regional title for the first time since 1983. The Panthers finished the season at 26-2 after winning 26 straight games before an 8-5 loss to South Bend St. Joseph in the North Semistate game. Minnich was a team captain for both sports. Minnich was an even bigger star off the field. He ranked No. 1 in his senior class and earned number academic honors. Among those were the Phil Eskew Mental Attitude Award for football, an Edward W. Moose Krause Scholar-Athlete award and the Top Indiana Scholar-Athlete Award from the Indianapolis Star in April. Minnich plans to play baseball at Cedarville (Ohio) University. 4. Attack Of The Sloth – The idea that a sloth can be a force in the animal kingdom is laughable. The idea that Sloth is a force on the wrestling mat is an entirely different story. The legend of Sloth will live on for generations at Warsaw as Kyle Hatch leaves the program as one of the great ones, a season and career to behold. Hatch had a heckuva run on the mats this past year, going 50-1, winning 49 in a row to start the year before losing to eventual 152-pound state champion Joe Lee in the state semi-finals. Hatch would come back to win the third-place match to cap his senior season. For his career at Warsaw, Hatch was 168-16 over all weight classes, which serves as the most career wins in Warsaw’s storied history. Hatch’s 50 victories as a senior was the most ever won by a Tiger in a season, and he also tossed in records for career pins as well as season and career takedowns, ones to which he already held through his junior season. 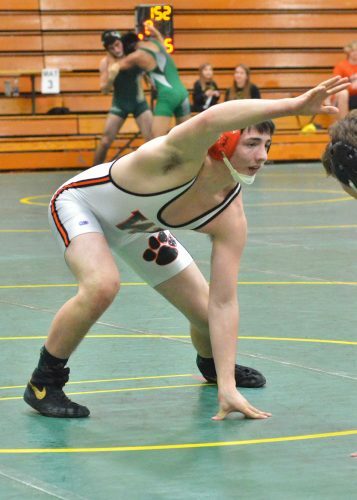 Hatch had quite a junior and senior year, combining to go 90-2, and leaves with three state finals placings, taking third this past season, seventh as a sophomore and eighth as a freshman. Hatch, who was also chosen as an Academic All-State wrestler, also was the holder for Under Armour All-American kicker Andrew Mevis as part of the Warsaw football program last fall. Hatch will wrestle collegiately with Wabash College. 3. Not A Small Story – When you think of the greats in girls sports at NorthWood, Summer Stillson has to be included in the conversation. Graduating this year as perhaps the best to ever to golf and play softball, Stillson has the résumé to back up each claim. In the 31-year history of NorthWood softball, Stillson leaves as the school record holder in 17 categories, including hits in a season and career (43, 133), runs scored in a season and career (42, 141) and a career on-base percentage of .546, reaching base in over half her plate appearances. In her four years at NorthWood, the Lady Panthers won 59 games, far and away the most wins in a four-year stretch in program history. This past season, Stillson led the Lady Panthers in runs, triples, batting average, on-base percentage, slugging and OPS. In golf, Stillson was the No. 1 for a NorthWood team that went 11-0 in dual matches and won the NLC regular season and tournament championships as well as a sectional title. 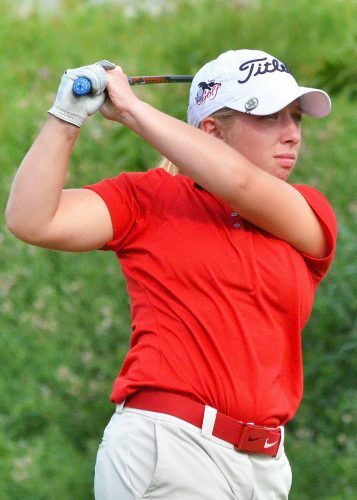 Stillson was the NLC medalist and earned All-NLC honors, which she was also an All-NLC softball performer. Stillson’s four years for NorthWood golf had the team only lose one dual match. She was an All-NLC performer four times and helped her team to state in 2015. Stillson will continue her career on the golf course, signing with St. Mary’s College. 2. Prolific Passer – Trey Bilinski rewrote almost all of the passing records after a stellar three-year run as the signal caller at NorthWood. Bilinski guided the high-scoring Panther offense to new heights last fall. He threw for a single-season record 3,325 yards and a school standard 39 touchdowns. Bilinski also set the program single-game yardage mark with 390 and the one-game touchdown standard with four. He also finished his career with a record 72 touchdown tosses. Bilinski, a three-year starter, earned All-State honors for the Panthers as they rolled to wins in their first 14 games to win the Northern Lakes Conference title and then Class 4-A sectional, regional and semistate crowns. NorthWood dropped a 34-22 final to Roncalli in the Class 4-A state championship game. The prolific athlete was also a reliable performer on the hardwood in helping NorthWood post a 21-3 hoops mark. He averaged six points-per-game and was a co-captain for the Panthers. Bilinski, who was also a Scholar-Athlete with a 3.6 GPA, will play football at Valparaiso University. 1. The Three C’s – Kyle Mangas should be remembered for the “Three C’s” during his prep career on the hardwood for Warsaw. Consistent, clutch and class are the three words that best describe what the star guard meant for the Tigers. Mangas delivered game in and game out and was at his best at the biggest moments throughout his career. The standout backcourt ace also did it in a quiet, selfless, team-oriented manner that truly defined his impeccable character. He capped off his career with a stellar senior season. He averaged 22.6 points-per-game while leading coach Doug Ogle’s team in basically every statistical category, including rebounds, assists, steals and 3-pointers. 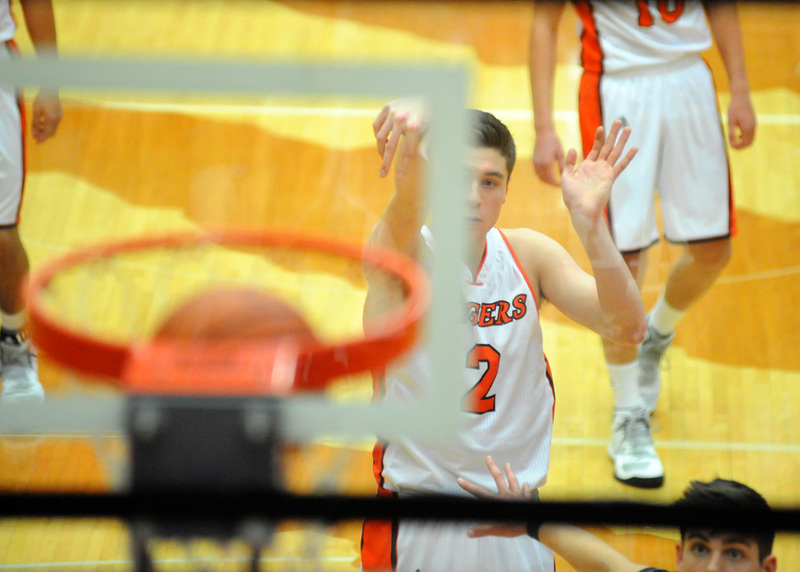 Mangas led the Tigers to a second straight Class 4-A sectional championship during the 2016-17 season and his team became the first in league history to go 7-0 for three straight seasons in Northern Lakes Conference play. In his three seasons as a starter, Warsaw posted a 61-17 record. Mangas drained a 3-pointer at the buzzer to beat Northridge in a sectional game and then had a career-high 47 points, including the game winning free throws with 2.1 seconds to play, in a 61-59 double-overtime win over East Chicago Central in a regional semifinal contest. The recent Warsaw graduate, who will play collegiately at NAIA power Indiana Wesleyan University, finished fourth in program history with 1,450 career points. His 633 points as a senior rank fifth all-time in program history for a single season. Mangas earned the Ink Free News Player of the Year honor as a senior for the second straight season. He was also an Academic All-State First Team selection. Mangas, the youngest son of former Wawasee High School standout athletes Tim and Ann Mangas, capped off his amazing high school hoops run by being selected as an Indiana All-Star. He was just the 11th player in the storied history of the Tiger program to receive the illustrious honor.